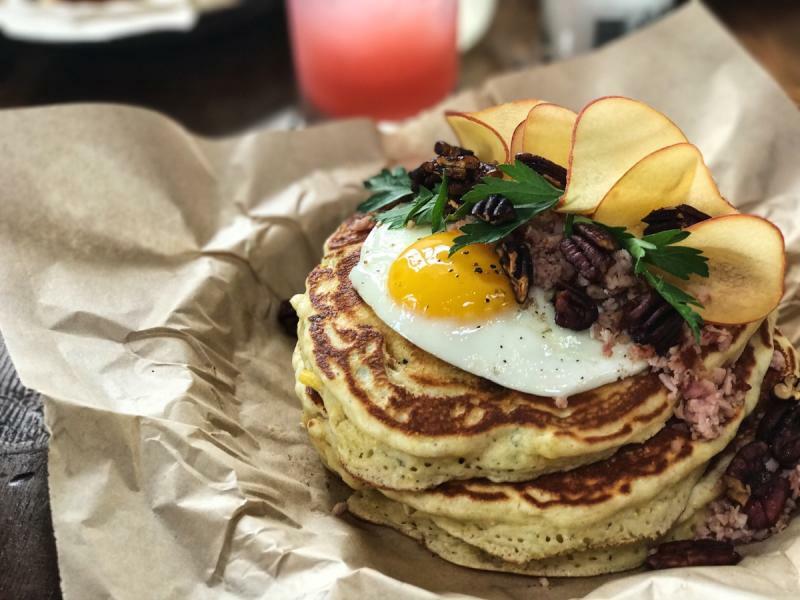 Sunday brunch in Austin isn’t your run-of-the-mill bacon and eggs affair. 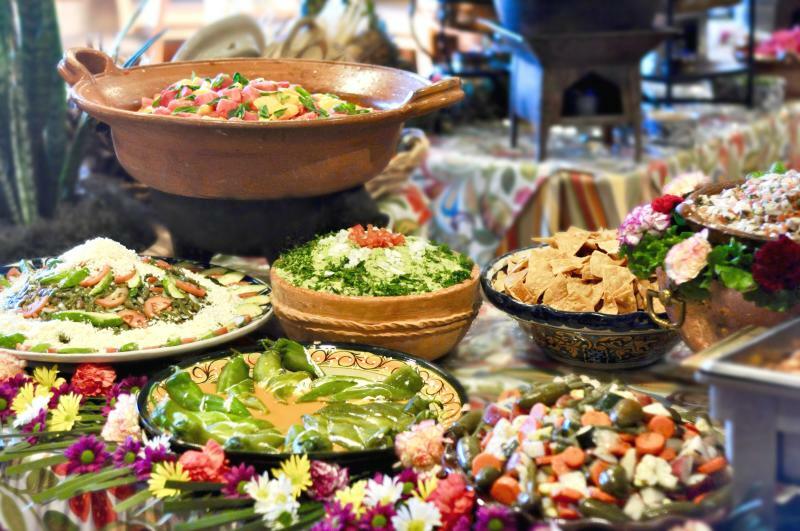 Here you’ll find everything from a Gospel Brunch with heaping helpings of barbecue to a buffet of Mexican specialties that go best with a frosty margarita. 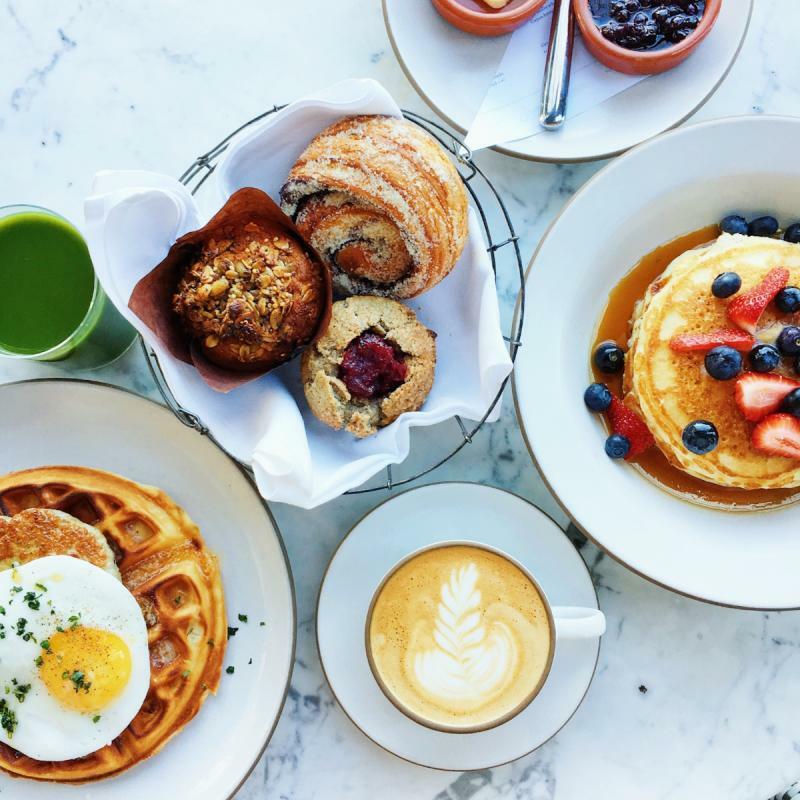 You’ll want to rise and shine early on the weekend for these yummy morning meals, but if you&apos;re still craving a serving of brunch on a Wednesday, we have a few spots in mind for you too. Stubb&apos;s Gospel Brunch. Credit Ashley Dowgwillo. 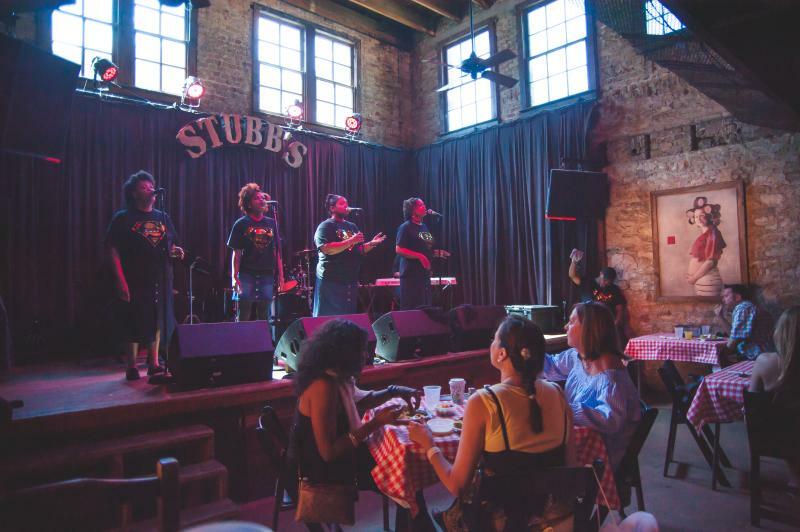 Stubb’s Bar-B-Q was founded in Lubbock in 1968, but its legacy continues in Austin, where Stubb’s is a music institution that serves up lip-smacking barbecue along with some of the best live bands around. Sit down for the Sunday Gospel Brunch and enjoy live music with your Southern comfort food and a make-your-own Bloody Mary bar. Maria’s Taco Xpress is one of Austin’s original funky spots, known for its colorful art, great Mexican food and giant “Maria” statue on top of the building. Attend Hippie Church on Sunday afternoons to listen to live gospel performers and nosh on breakfast tacos like the chorizo, egg and cheese option. Come for brunch and the fantastic craft cocktails at Better Half Coffee & Cocktails. Spread out on the spacious patio and order the breakfast sandwich layered with fried farm-fresh eggs or a stack of sweet potato pancakes, sided with a Bloody Mary made with Better Half’s own Bloody mix and house-pickled green beans. Josephine House. Credit Annie Whitehead. Located in a cozy little cottage in Clarksville, Josephine House serves up delectable brunch dishes like lemon ricotta pancakes topped with fresh strawberries and blueberries. Step inside the stylish South Congress Hotel for a California-inspired weekend brunch at Café No Sé. 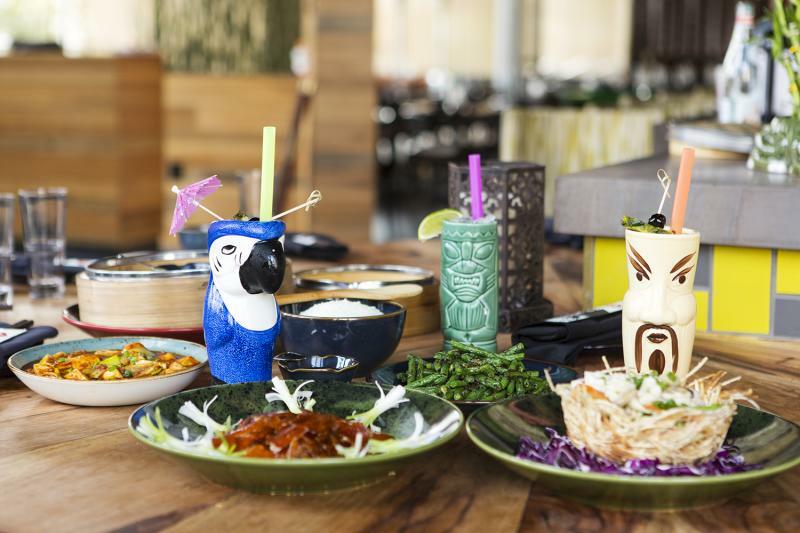 Menu stars include avocado toast, yellowfin tuna poke with coconut rice, and a breakfast cheeseburger (top it with a sunny egg and crispy bacon). Brunch Buffet at Fonda San Miguel. Credit Ashlyn Allison. At Fonda San Miguel, escape to a charming hacienda known for its authentic Mexican specialties. Sunday brunch is a buffet affair, featuring tables loaded with everything from a variety of ceviches and guacamoles to migas and flan. Pair your meal with the watermelon-infused Silvercoin margarita blended with Patron Silver, Cointreau and fresh lime juice. 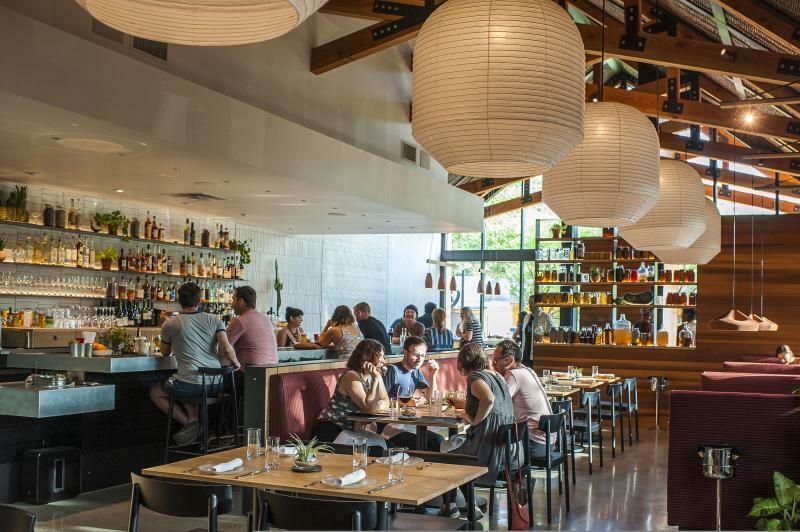 You can celebrate an all-out fiesta during the weekend brunch at Suerte. Post up on the patio overlooking East Sixth Street and dig into elevated Mexican cuisine like the mole flautas, stuffed with duck confit, sesame seeds and a sunny duck egg. 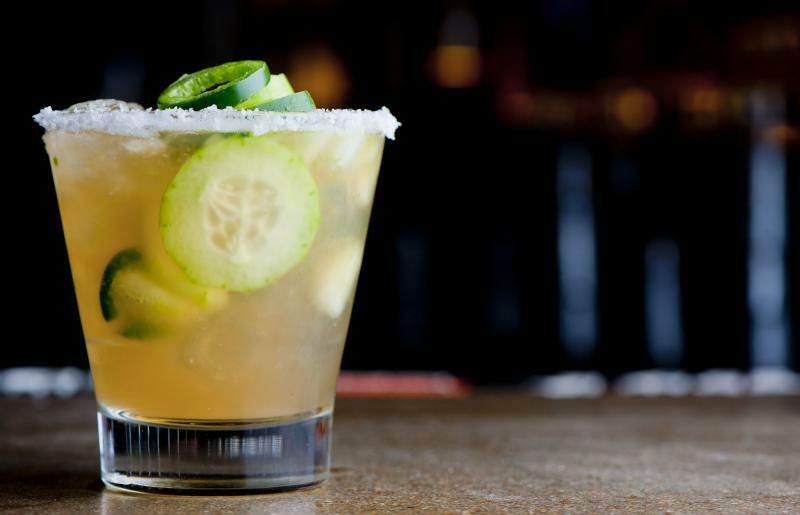 Cucumber Jalapeno Rita from Jack Allen&apos;s Kitchen. Courtesy of Rebecca Fondren. Jack Allen’s Kitchen uses locally sourced ingredients to create its classic Texan fare with a modern twist. The Sunday brunch buffet includes mouthwatering dishes such as the layered enchilada casserole, green chile pork and eggs, and fresh tomato and basil pie. Cherrywood Coffeehouse offers a bit of everything, from all-day breakfast to beers on tap and live kid-friendly music on Sundays. During the weekend brunch, treat the little ones to the Chocolate City smoothie (peanut butter, chocolate, banana and almond milk) and chow down on the cheesy shrimp and grits. Pitchfork Pretty Dining Room. Credit Laura Hajar. Seasonal Hill Country cuisine is on the Sunday brunch menu at Pitchfork Pretty, with ingredients culled from the restaurant’s own garden. Sample gourmet breakfast sandwiches, grilled or chilled fresh oysters, and sweets such as pecan scones with maple bourbon glaze. Dine on farm-fresh American fare like fried chicken eggs Benedict or homemade quiche with smoked ham during brunch outdoors under the towering live oaks, or in the welcoming dining room of a turn-of-the-century farmhouse, at Mattie’s at Green Pastures. Paperboy. Courtesy of Jane Ko. 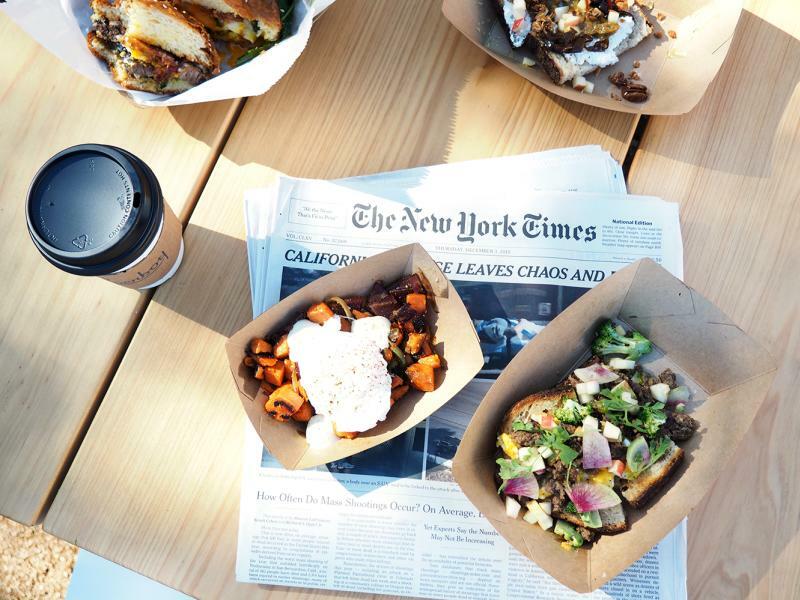 Fuel up for the day at Paperboy, a popular food truck with early-morning eats like Texas hash with sweet potatoes, braised pork shoulder, a poached egg and pecan mole. Try banh mi for brunch at Elizabeth Street Cafe, where Sunday brunch at this French-Vietnamese cafe includes brioche French toast, breakfast banh mi and an omelette filled with roasted pork and mushrooms. 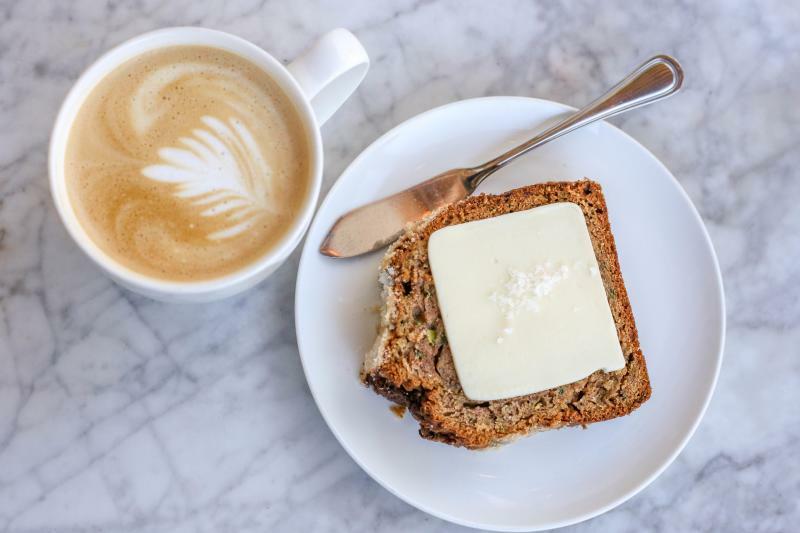 Zucchini Bread & Coffee. Courtesy of Launderette. The critically acclaimed Launderette serves an eclectic brunch menu that includes everything from salmon gravlax to a fried egg BLT with avocado and pimento cheese. Don’t miss the pastry of the day from noted Executive Pastry Chef Laura Sawicki. You’ll feel home on the range at Contigo, modeled after the owners’ family Contigo Ranch in South Texas. Sit out on the rustic patio for brunch and try ranch-to-table fare like the ox tongue hash with crispy potatoes and sauerkraut, or opt for one of the eggs Benedict dishes, including a smoked trout version with red eye hollandaise sauce. Holy Roller. Courtesy of Cultivate PR. Indulge in decadent breakfast dishes all day, every day at Holy Roller, including cookies-and-cream pancakes, a meatloaf sandwich topped with mozzarella cheese and butter pickles, and “trash fries” smothered in gravy, a sunny egg, sour cream, corn, lime and cotija cheese. Cenote is known for its fantastic coffee and fresh dishes that use ingredients sourced from local farmers. For everyday breakfast &apos;til 4 p.m. try the Cenote scramble, made with eggs, arugula, pesto, capers and goat cheese. On weekends Cenote adds chilaquiles to the menu, loaded with two fried eggs, avocado, sour cream and tortilla chips sautéed in Felipe’s rojo sauce. Wu Chow. Courtesy of Jane Ko. Delve into Hong Kong-style cuisine at New Fortune, a Chinese seafood restaurant that features dim sum carts during lunch on the weekends. Gather a group and try Chinese dim sum specialties like shrimp and pork dumplings, spare ribs with black bean sauce and crispy Shanghai egg rolls. Modern Chinese food is the specialty at Wu Chow, which offers dim sum service on Sundays. Try the shrimp-stuffed eggplant, chicken and taro egg rolls, or the baked pineapple bao. The playful cocktail menu includes the Texan’s Take on Tiki, mixed with The Botanist artisanal gin, Cointreau, jalapeño simple syrup and juiced cucumber.